My inside mushroom projects are alive and growing! Baby Reishi from my grow kits! I cannot wait to try them fresh. They are slow growing but Beautiful! Have you ever wanted to grow mushrooms, but didn’t know where to start? 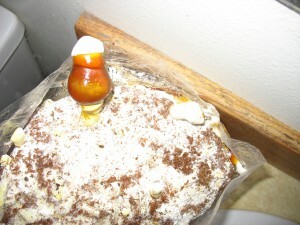 Mushroom grow kits are a great way to begin growing mushrooms. Finally made my way to Hill Botanical. I had heard about Kris Hill’s little herb shop for some time now, but had not made it there to actually check it out. I expected to find the herb selection that I saw, but was not prepared for the mushrooms and mushroom products she had in stock. 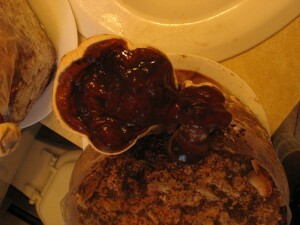 The organic Reishi that has been so illusive this past winter for me was right there on the shelf. 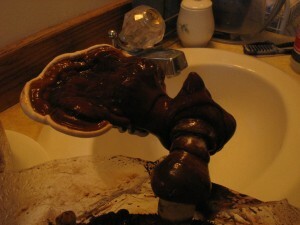 In talking to Kris briefly, I found that she incorporates mushrooms in her products and mixtures. Some herbalists exclude mushrooms in their practice and this has made it very hard for me to learn from them. 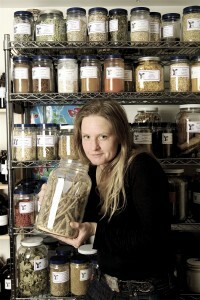 Kris gives classes on herbs and I plan on catching some of the classes that she teaches. I was not able to visit with Kris long enough to give a proper review of what she does, but I plan to and will report here again. Give her shop a look at 204 E. Olive Street, Bozeman and check out the website at the link on my homepage. 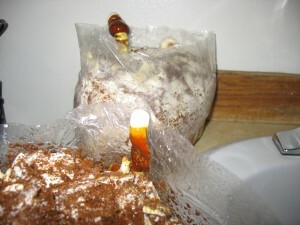 Mushroom kits are a great way to get started growing mushrooms. 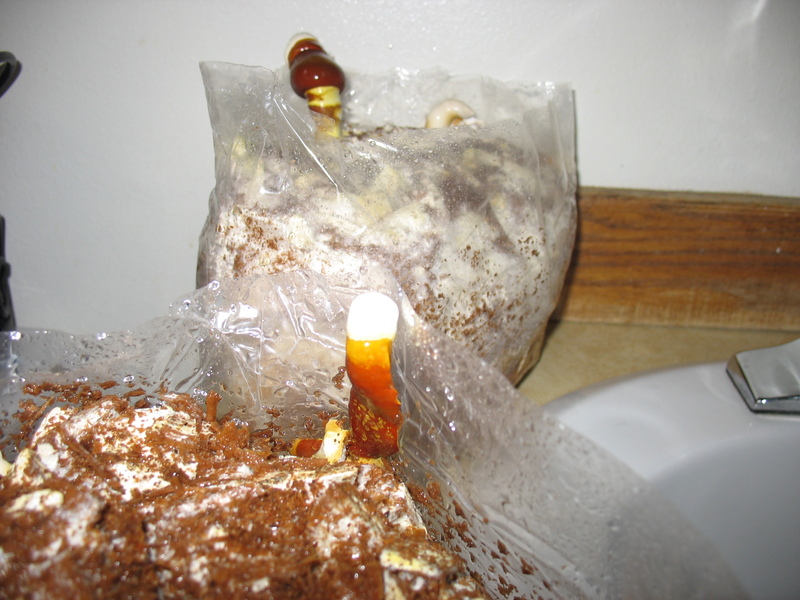 Mushroom growing kits can be purchased online. They come in quite a variety of mushrooms. They produce fairly well and don’t take up much space. The different types usually involve sawdust and grain of some sort. 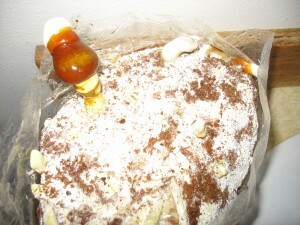 The bag is complete with the growing substrate and spawn. The only thing left to do is to water them and put them in the right place to incubate. The directions vary but are usually detailed and clear. Shiitakes take from 2 to 4 weeks to start flushing, and might flush for up to 16 weeks after. 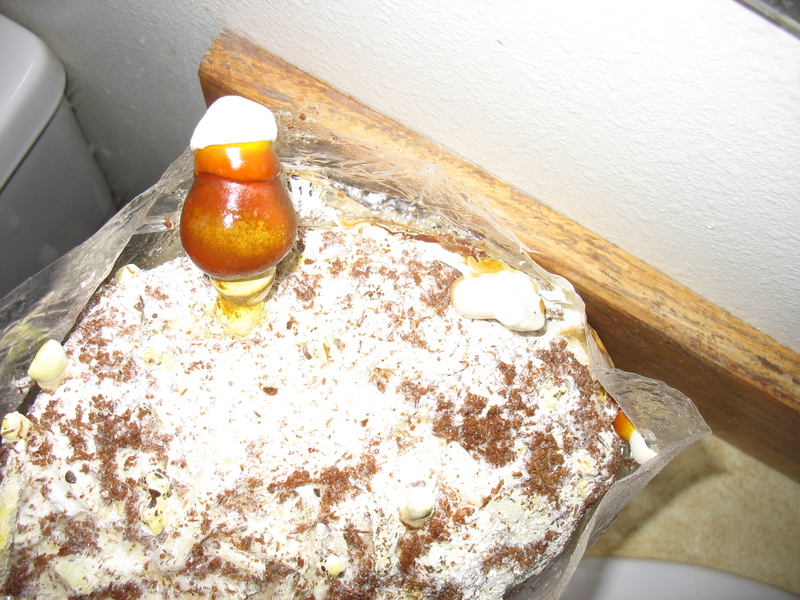 They need a temperature between 50 and 80 degrees.The kits are similar to how production mushrooms are grown. Most of them are grown on blocks kind of like the kits, for fast production. 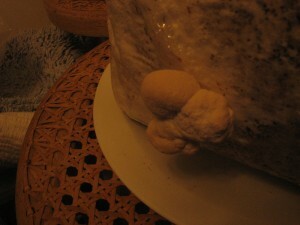 The selection has become incredible in the last few years.You can find just about anything from Lions mane to Reishi. These kits would be a good start for beginners, and when done flushing, can be put to use in a mulch pile or outdoor experiments. 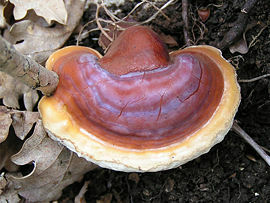 Mushroom growing kits can be found online at Garden City Fungi and Fungi Perfecti, links on the homepage. Some stores carry the kits so watch for them.